The "UCB-Ehrlich Award for Excellence in Medicinal Chemistry"
The “UCB-Ehrlich Award for Excellence in Medicinal Chemistry” was established to acknowledge and recognise outstanding research in the field of Medicinal Chemistry in its broadest sense. The Award is given biennially and consists of a diploma, € 7.500 and an invitation to present a lecture at an EFMC-ISMC symposium. The Award shall be open to any Scientist whose age does not exceed 50 years on January 1st of the year during which the Award is to be presented. Previous recipients were: Prof. Paul J. Hergenrother in 2016, Prof. Craig Crews in 2014, Prof. Krysztof Jozwiak in 2012, Dr Anthony Wood in 2010, Prof. Peter H. Seeberger in 2008, Dr Bernd Riedl in 2006, Prof. Jesper Wengel in 2004 and Dr Jürg Zimmerman in 2002. For his ground breaking work to explore novel chemical space, especially natural product-like, diversity-oriented and activity-directed synthesis. Prof. Nelson implemented his vision that chemical synthesis should align with drug discovery needs, and introduced methods that have been taken up by the medicinal chemistry community to profile synthetic targets for lead-likeness and chemical novelty. 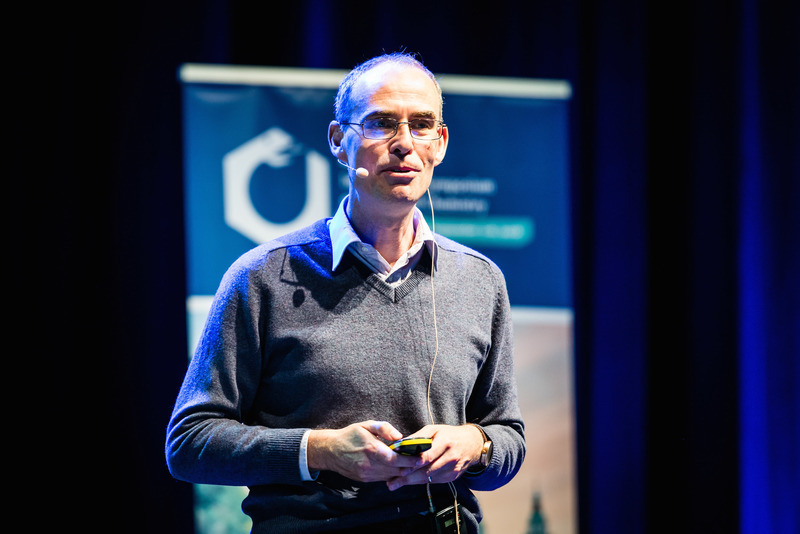 He plays an important role in the European Lead Factory, chairing its Library Selection Committee, and leads the “Next Generation Chemistry for Medicine” theme at the Rosalind Franklin Institute, in the UK. For his groundbreaking work on procaspase-3 activation by a small molecule PAC-1, thereby inducing apoptosis in cancer cells. In his scientific research he uses natural products as starting points for complex molecule synthesis in an approach named “complexity-to-diversity”. Next to basic research, he also aims to bring his novel compounds to the clinic for the benefit of patients. For outstanding research into natural products and chemical biology. He co-founded Proteolix and pioneered the design and development of the proteasome inhibitor, carfilzomib (Kyprolis) which was approved by the FDA in 2012 for the treatment of relapsed and refractory multiple myeloma. Carfilzomib was inspired by the cytotoxic activity of the natural product, epoxomycin. Craig Crews devised a total synthesis and worked out the biochemical mechanism of action. Subsequent research using X-ray crystallography and medicinal chemistry led to this successful anti-cancer drug. Craig Crews has over 100 publications and patents and is known internationally as an academic, an entrepreneur and a drug discoverer. 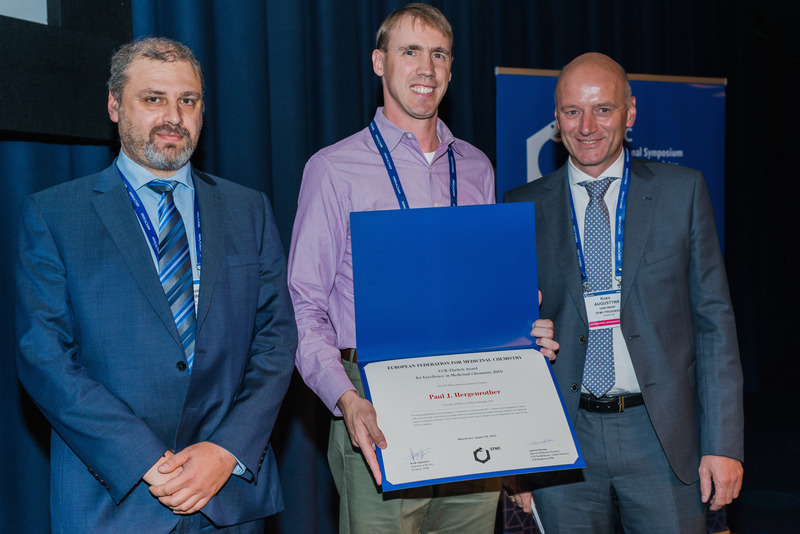 The EFMC awards the UCB-Ehrlich Award for Excellence in Medicinal Chemistry to a young scientist for outstanding research in the field of Medicinal Chemistry in its broadest sense. The EFMC is pleased to announce that the recipient of the 2012 UCB – Ehrlich Award for outstanding achievements in the field of Medicinal Chemistry is Professor Krzysztof Jozwiak. This award is the recognition of Prof. Jozwiak’s excellent contributions in the area of ligand design for nicotinic, AMPA and adrenergic receptors using a variety of theoretical and experimental techniques to characterize drug-receptor interactions, stereoselectivity of drug action and application of various computational methods to understanding drug action. In particular, he has developed fenetrol derivatives which are selective for â2-adrenergic receptors by careful study and synthesis of different stereoisomers. These compounds are of interest in the cardiovascular area as well as for the potential treatment of brain tumors. This award is the recognition of Professor Seeberger’s excellent contributions in the fields of automated oligosaccharide synthesis, carbohydrate microarrays and microreactors, synthetic heparin oligosaccharides and synthetic oligosaccharides as vaccine candidates. Remarkably, his research has resulted in the clinical development of compounds for the potential use as Malaria or Anthrax vaccines. The brilliant results achieved by Prof. Seeberger lay the foundations on the vertical integration of his scientifically ambitious program from methods in organic synthesis to applications of oligosaccharides to the prevention of diseases of the developing world. 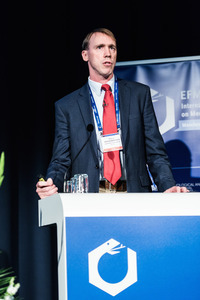 Dr. Riedl receives this award for his outstanding scientific work leading to the discovery of the raf-kinase inhibitor Sorafenib (Bay-43-9006, Nexavar), the first example of the discovery of a new medicine which combines classical rationale drug discovery approach with the use of new technologies. The award was granted to Prof. Jesper Wengel, University of Southern Denmark, on the basis of his outstanding scientific curriculum vitae. In particular, his discovery of Locked Nucleic Acids (LNA) has been highly significant in the field of the discovery of effective antisense oligonucleotides. This discovery has greatly enhanced the chances of a successful development of oligonucleotide-based therapeutic agents. 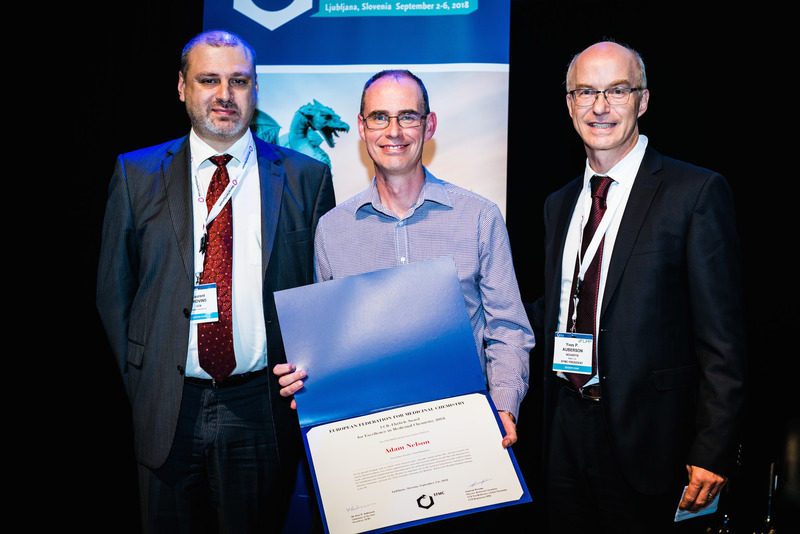 zefefzThe first "UCB Award for Excellence in Medicinal Chemistry" has been given to Dr. Jürg Zimmermann of Novartis, Switzerland. Dr. Zimmermann received the Award for his fundamental contributions in medicinal chemistry to the discovery and development of Imatinib (Glivec/Gleevec, STI 571), a Protein Kinase Inhibitor and novel treatment for Chronic Myeloid Leukemia. Imatinib is considered as one of the revolutions in the therapeutic treatment of cancer, and could become the therapy of choice. The Jury noted the Excellence in Medicinal Chemistry, combining chemical knowledge with a profound expertise in molecular pharmacology together with rigorous molecular design techniques, which formed the basis of this work.